based in Dolores and Cortez, Colorado, serving Southwest Colorado since 2002. High-speed, wireless Internet service for rural Southwest Colorado. VelocityNet is the only 100% locally owned Internet provider on the City of Cortez's Fiber-optic network serving Cortez's downtown businesses. VelocityNet is locally owned, ensuring its clients of personal service and local technical support. Ron Hurd: Ron lives in Dolores, and he founded VelocityNet in 2002. 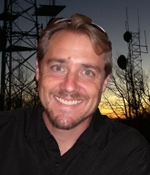 He has eighteen years experience in telecommunications, wireless technologies, computer technologies, and SCADA. As Field Engineer at US West Wireless Laboratory he tested, developed and installed the first Internet Protocol based, high-speed wireless networks in Colorado. As Systems Technician for Empire Electric Association his responsibilities included SCADA and wireless telecommunications. 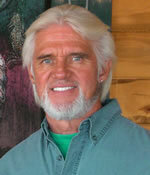 Jim Jackson: Jim lives in Cortez. He has thirty years of successful executive management and business development experience, both nationally and internationally. Most recently he served as Vice-President and General Manager of Urethane Soy Systems Co, a bio-based chemical company. Prior to that he was Vice-president of Business Development for SystemOne Technologies Inc, a recycling technology company.